I’m a real sucker for chalkstreams. I don’t fish them enough but I always leave them with a smile on my face. To me, the key is to find the ones that are not wallet-busting prices and ideally will be unstocked. Fulfilling these requirements aren’t easy where chalkstreams are concerned and the ones that we find out about are only whispered about in the company of good, trusted friends. This month though I was heading to a place that, from what I’d heard,might just fit the bill. 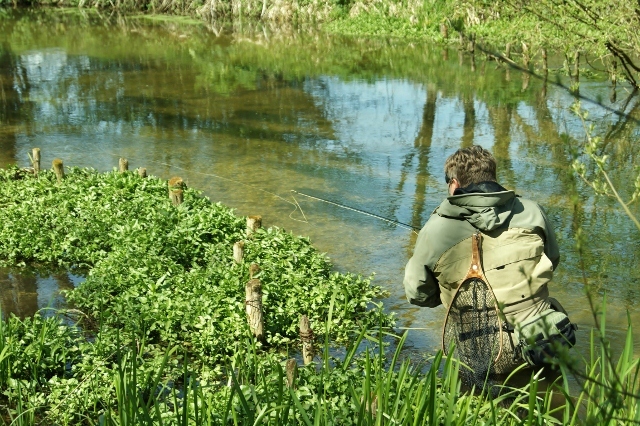 Casterbridge Fishery based on Dorset’s river Frome is run by John Aplin who took on the lease of the fishing a couple of years ago and offers 3 miles of fishing available on a day ticket. 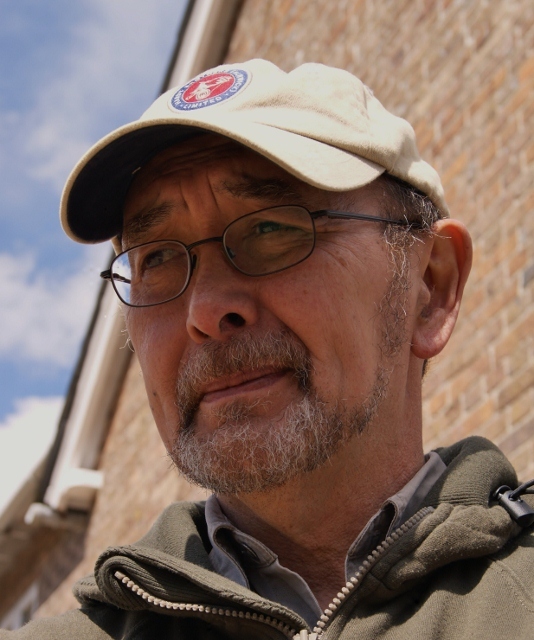 John has keepered rivers for a number of years on leaving Sparsholt and continues to run his water management business alongside Casterbridge. On meeting him one thing is for sure, he loves fishing. John introduced me to John Grindle who was going to show me the beat he likes to fish. 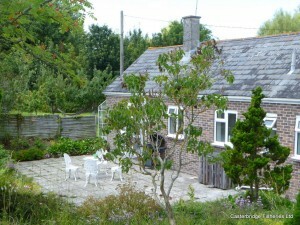 John A asked me if it was OK for a guest they had staying in the adjoining accommodation to join us. It was no problem at all and an even nicer surprise when it turned out to be cane rod builder Tom Moran. I have been a fan of his rods for a very long time and I just about managed to stop myself from dropping down to my knees for one of those “I’m not worthy” moments. I’ve owned one of Tom’s rods for 13-odd years and at last I could tell him how much I love it. The four of us headed down to the bottom of Home Beat and were going to talk and fish our way back over the next one and a half miles. The river is as pretty as a picture and it would be the sort of place I would show someone who asked me what a chalkstream should look like with crystal clear water and lush weed growth. It was evident that John has worked hard on maintaining a beautiful environment to fish that is also a great habitat for the wild, yup, I said wild, fish to thrive in. John G hopped into the river first and started to work his dry gold ribbed hare’s ear upstream into what looked like a good spot. 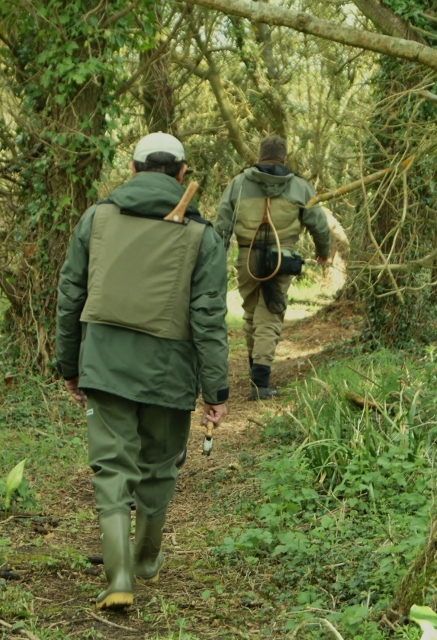 The three of us stood on the bank peering into the crystal clear water looking to see if we could spot a fish or the rings from a tell-tale rise of one on the feed. Things had started slowly and the nasty downstream wind didn’t help. John coped gallantly and each time the wind dropped there was just a hint of a hatch of large dark olives and even fewer grannom. It seemed that was all that was needed and we saw our first rise. John eased himself into position and covered the fish perfectly. The fish didn’t need a second look and confidently took the fly. The rise took me a little by surprise as it was a lot quicker than those I normally see on a chalkstream. I usually have to slow my strike down when doing this sort of fishing as the trout I fish for on the rain fed rivers of Devon are lightening quick and it usually takes a few missed fish for me to adjust my striking speed. A few more grannom left the water and John A had spotted them and tied on a suitable pattern, and after checking with Tom if it were OK to have a go, got in to the river. The fish spotting team on the bank saw a fish that looked high in the water and might take a look at a dry. After giving some directions John covered the fish that took second time but came off. It is a great way for friends to fish the water at Casterbridge. One walking the bank spotting fish the other working their way up the river. Tom was up and tied on an olive pattern. It was the sort I had secretly hoped would get snagged in a tree so I could come back later and get it. We spotted a fish and although Tom’s fly landed just a short distance away from where we thought it needed to be, the fish charged it down but Tom was another victim of the lightening take. The next fish wasn’t as lucky and followed the fly downstream and with Tom holding his nerve, he struck as the fish decided yes. 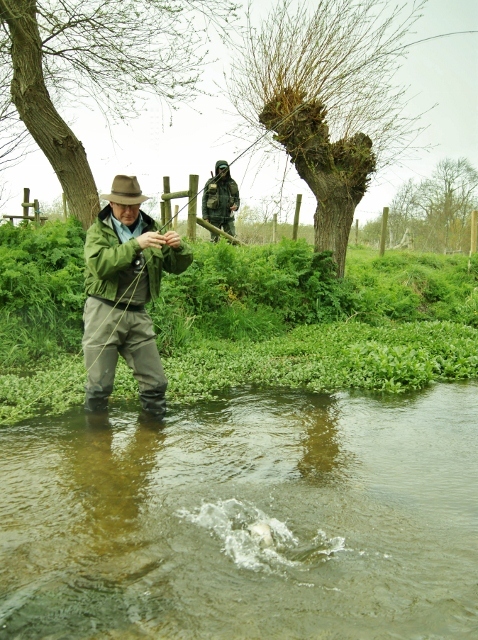 The Frome is renowned for large grayling and we watched one lazily swim downstream that we reckoned was 3 1/2lb. I said some words I shouldn’t have when I saw it and on hearing that day tickets are available during the winter months I can’t wait to give it a try. I have heard from an angler who tried fishing there during winter and he told me about John ferrying a thermos of coffee to him every few hours to keep him warm. At the top of the beat is a nice deeper pool but at the tail of it there were fish that were rising to large dark olives. Tom was first up and had a couple of fish followed by John G catching one more before we headed back for a cup of coffee.hat we thought was the morning turned out to be 2.30pm. The fishing had passed in what was a flash of great company and fishing to match. 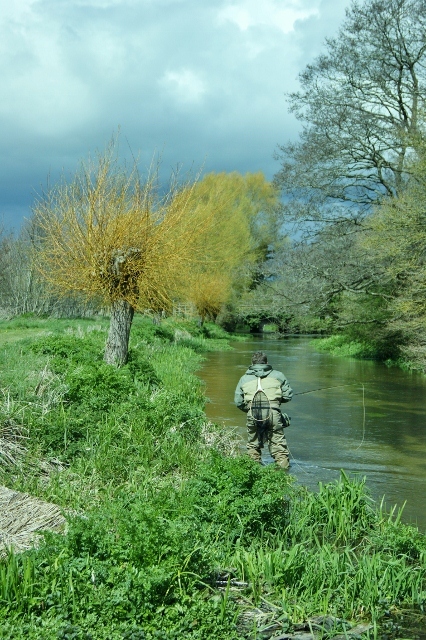 For many, booking your fishing in Dorset means that you have to pass the big name places in Hampshire, but in doing so you’ll be fishing one of the prettiest stretches of river I have seen in a long time and at a price that will be hard to beat. It is a little further to go but John also offers accommodation. That means you can fish till darkness falls and roll straight into your bed or via the village pub, just around the corner. I know I’ll be back again...and again.